Sony introduced a new line of headphones this year that are among its most vibrant and refreshingly stylish headphones in recent years. 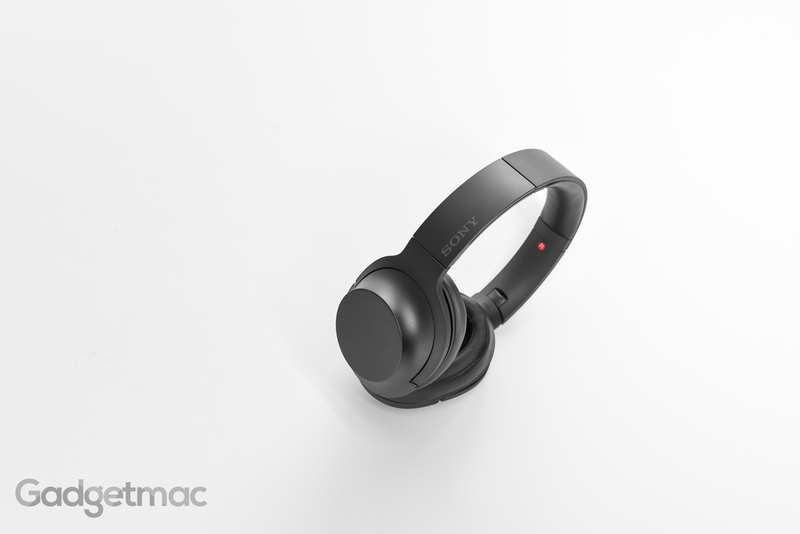 Sony's new H.ear On lineup of wired and wireless over-ear headphones offer a minimalist, clean design with promising high-resolution 24bit audio performance at a competitive price point. The H.ear On model MDR-100AAP we're about to review are the best looking headphones Sony has made in quite a while. While they aren't wireless or equipped with active noise-cancellation like their identically designed H.ear On model MDR-100ABN, these wired versions are cheaper and deliver the same level of sound quality of not greater thanks to a slightly broader range of frequency response. So does the sound also match their svelte aesthetics? Let's find out! First things first, unboxing. 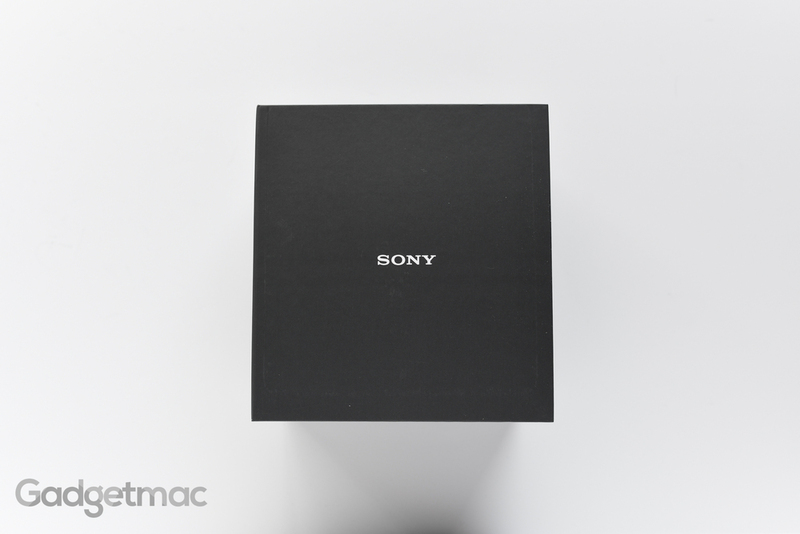 Sony's H.ear On come inside a small square box already folded up into their most compact form factor. But you can't just pull them out because Sony thought it would be amusing to tie them down to that tray first for added security, which does ruin the unboxing experience a little bit. Aside from a small amount of inconvenience, we do like the nice presentation here. 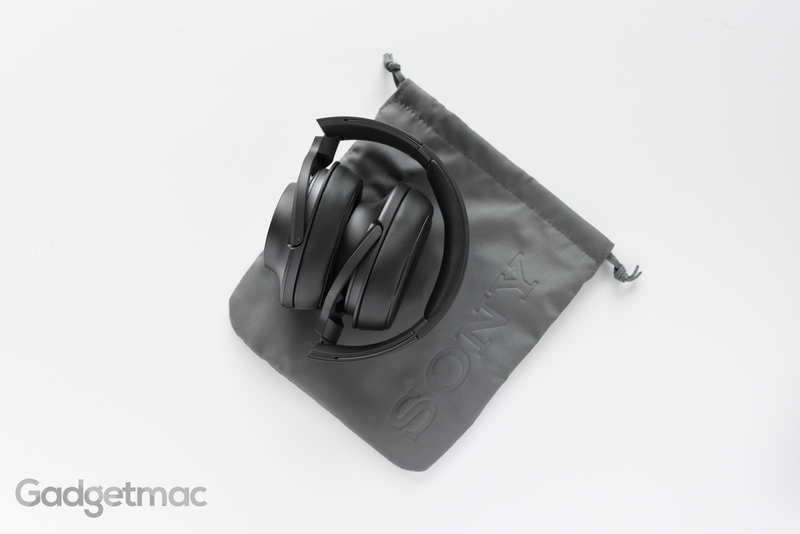 Underneath the headphone tray you'll find two accessories: a detachable audio cable and a very nice Sony branded fabric draw-string pouch lined with soft microfiber to keep your headphones all clean and lightly protected inside. 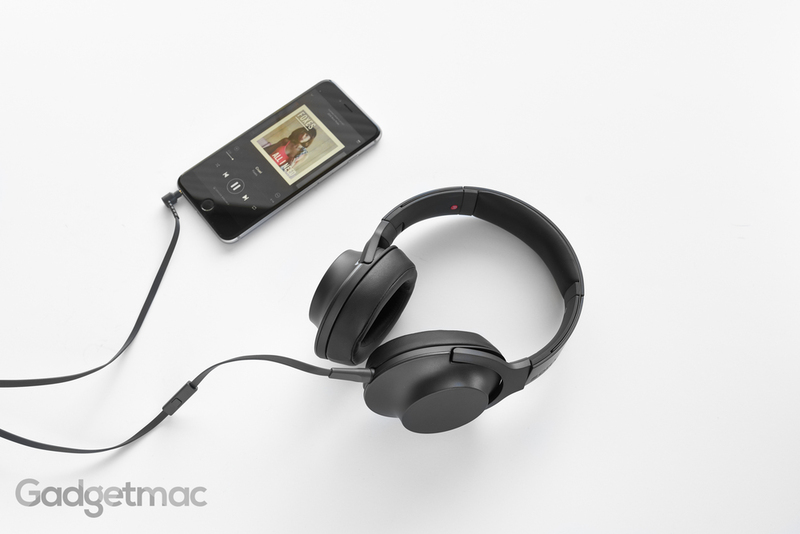 When these headphones are folded down, they'll easily fit in small spaces when you're traveling. 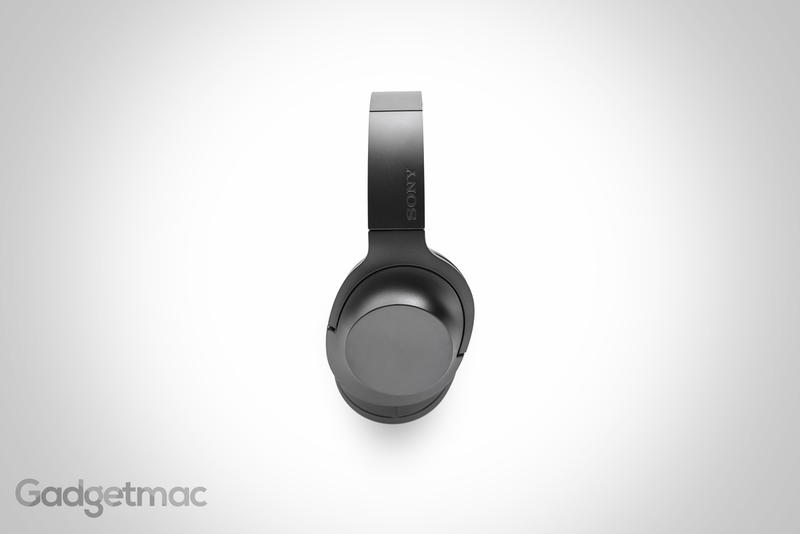 The H.ear On that we've been testing out are the charcoal colored variant, which in person is a really dark shade of gray. 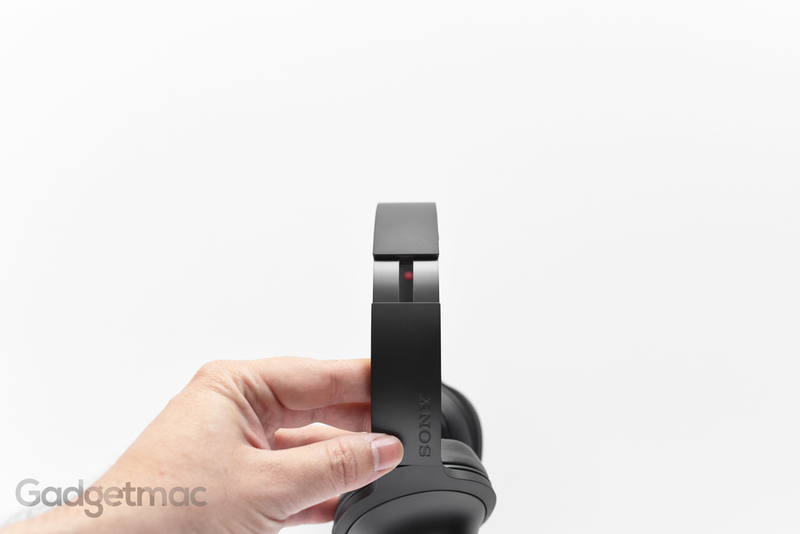 But if black headphones bore you, you'll be happy to know that the H.ear On are Sony's most vibrant headphones yet. You'll be able to get a pair in a wide range of colors including dark blue, lime green, magenta, and a really hot looking coppery orange and red for $200. I wasn’t expected too much from Sony at this price, but there’s no denying that the H.ear On are really well made with an impressive plastic build quality and a nice touch of aluminum accents. Before I took these out of the box I thought I’d find another all-plastic pair of headphones. To my surprise, the H.ear On actually feature beautifully finished aluminum ear cups sporting that district, oval-shaped ear cup design and smooth curves. Everything from the aptly padded headband, articulating hinges and solid ratcheting headband adjustment arms are actually more impressive than Audio Technica’s plasticky M50x. Speaking of the M50x, the first thing I noticed right away was how much lighter Sony’s H.ear On felt compared to the M50x. Not only that but they obviously have a more aesthetically pleasing, streamlined design. The matte finished plastic isn't coated with any rubberized coating so it doesn't show fingerprints easily. Headband joints have a rigid quality to them, smoothly snap into place when unfolded and are reinforced using metal hardware. I really love the fact that Sony hasn't covered the drivers with foam padding and whatnot, but rather left them pretty much exposed with only a see-through mesh covering them up. 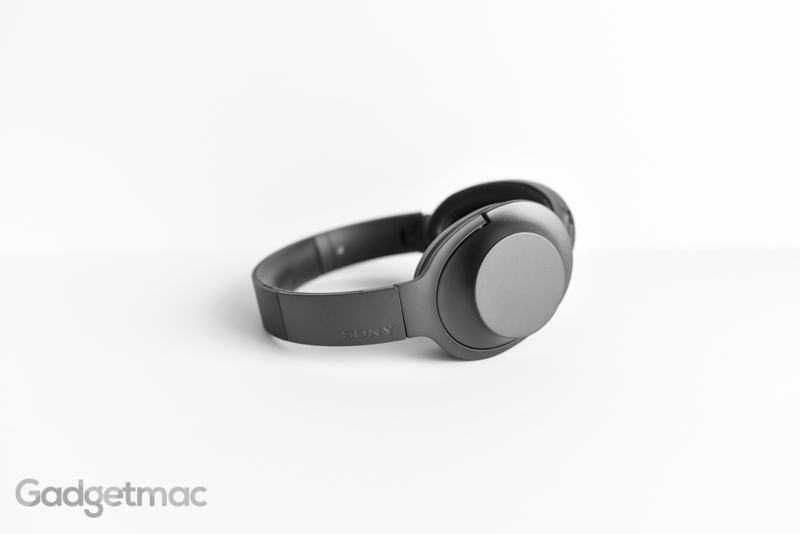 At first I was skeptical about these not having any overlaying padding like most other headphones, however, the ear cup padding was designed in a way so that your ears never touch the drivers thanks to extra-thick oval-shaped cushions. And because there is no hard plastic protective grille and extra padding covering the drivers, sound can easily escape straight into your ear canals while your ears don’t have to be pressed up against a painful hard surface when the foam inside the cushions starts to lose its firmness with use over time. I also appreciate the small attention to detail such as the red “R” imprinted on the inner side of the headband to make it easier for you to correctly wear the headphones each and every time. One of the most important categories when it comes to headphones is comfort. And it's no secret that over-ear headphones like the H.ear On offer superior wearability compared to on-ear style headphones. And these in particular are some of the best when it comes down to prolong usage. They're some of the most comfortable headphones I've ever worn. The combination of deep ear cup interior, thick padded ear cushions, relaxed clamping up against the head/ears and a lightweight ergonomic design makes the H.ear On truly delightful to wear. Coming from the M50x, using the H.ear On almost feels like you’re not wearing headphones. They’re that light and relaxed around your ears. The in-line remote and microphone module found on the detachable audio cable only features a single button, but it’s a multi-function button so you can use it to answer/end calls, play/pause and skip between music tracks and interact with Siri or Google Now. The only thing missing are volume controls, unfortunately. Was it really that difficult to put a few volume buttons on this remote, Sony? SMH. 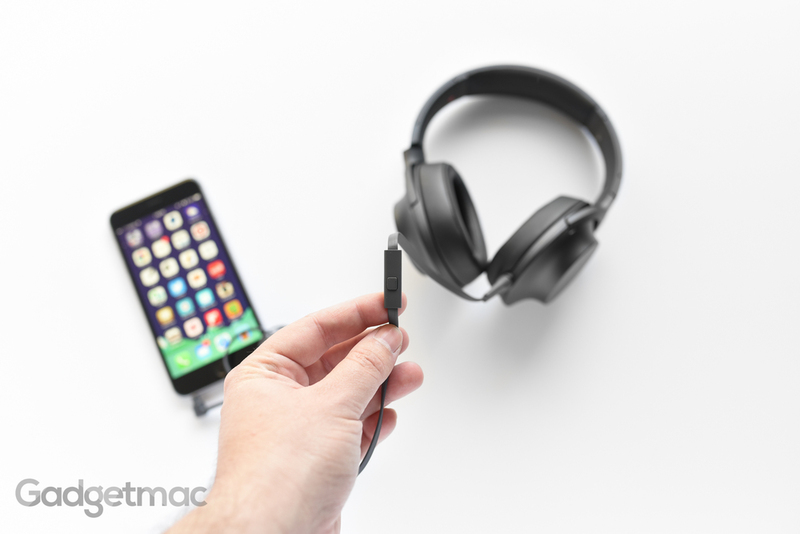 The included detachable cable is unusually long for headphones that were designed to be used out and about, but that’s actually a good thing if you’re also using them at home or like putting your audio device inside your backpack as you have more room to play with before you feel the need to cut the cord once and for all. Although I do like the lengthy cable, what I dislike most about the H.ear On is the audio cable itself. It’s flat, and tangle-free. But it also feels weirdly plasticky and unlike other rubbery cables. For some reason it just doesn’t feel right to the point where just handling it makes my annoyed. But other than that, there’s really nothing wrong with it. Just something to make note of. If you were expecting big, powerful deep bass you’d be disappointed with the H.ear On headphones. Instead you’ll get a very balanced and neutral sound signature with a tight, clean sounding bass that’s quite reserved and clinical. That doesn’t mean bass-heavy music will sound flat or boring, but there’s definitely a lack of thickness and thumpiness that some headphones are capable of delivering with deep sounding bass. As a bass enthusiast, I actually find the H.ear On's non-fatiguing bass response favorable for all types of music. And I’m not sure of the exact science behind using titanium-coated driver diaphragms, but all I know is that they sound as good as Sony claims them to by producing diamond-clear, distortion-free highs and a midrange that happily exists in the foreground. The clarity and balance is off the charts, incredibly pleasing to the ears. The one thing a lot of you probably would like to know is whether or not the H.ear On headphones can beat Audio-Technica's famous ATH-M50x. To answer that bluntly - not quite. They come really close, but lack that extra touch of depth and richness that the M50x exude. To be fair, my M50x have clocked hundreds of hours compared to the H.ear On so they’ve gotten a lot more time to mature and break-in. There's still hope for the H.ear On to improve sonically, but we can't vouch for that just yet. We should also mention that there's a noticeable difference in drive size in these two headphones. The Sony have 40mm drivers while the Audio Technica are using 45mm drivers, therefore greater detail. 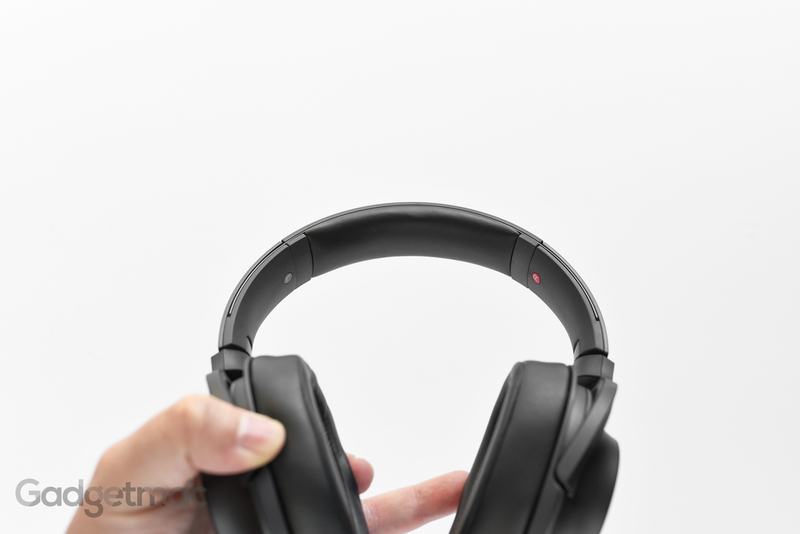 As it stands, the H.ear On sound almost as impressive as the M50x and chances are that no one will even notice the difference without an extensive close comparison between the two. I think what bothers me more is the fact that the H.ear On actually leak more sound than the M50x knowing Sony expressly advertised that its draped ear pads prevent unwanted sound leakage. Sony's H.ear On MDR-100AAP are among the best over-ear headphones that you can get for under $200. 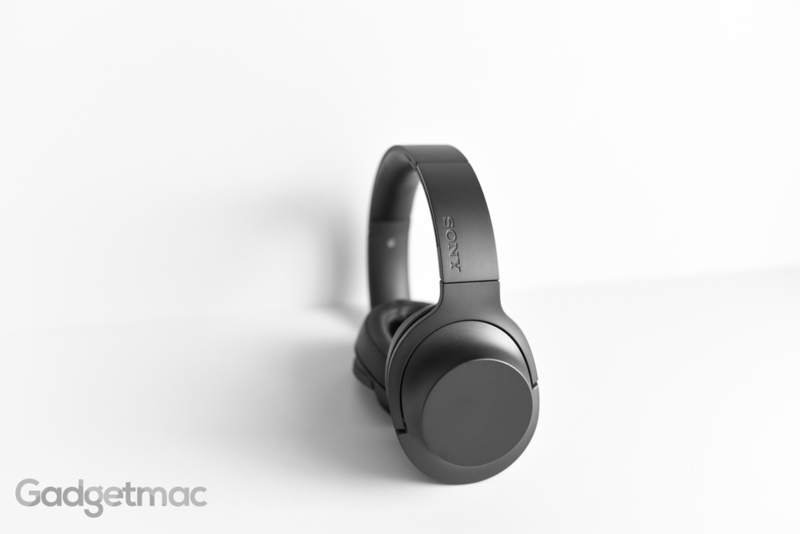 They're great looking, insanely comfortable, made well and deliver formidably balanced audio. We've been waiting a long time for a pair of headphones that sound as good as the Audio Technica ATH-M50x, only better made and with an up-to-date design. And we think we've found just that. 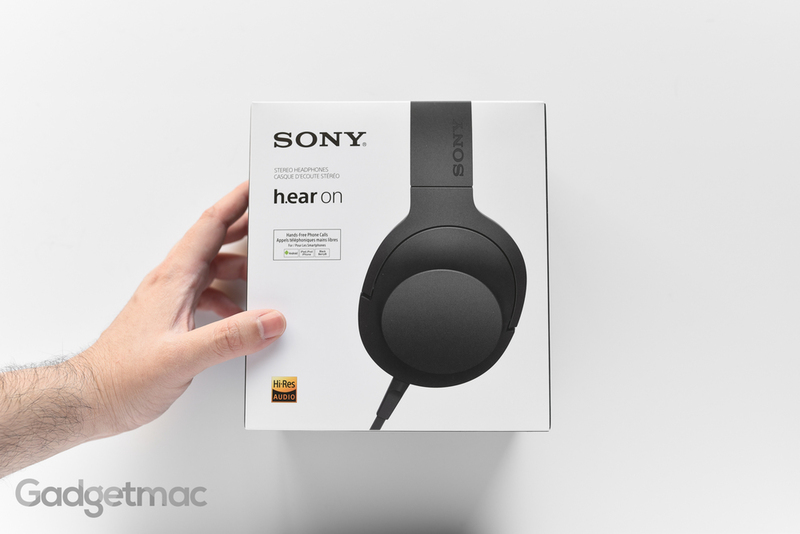 The H.ear On might not definitively outshine the M50x in the audio department, but for those looking for good looking headphones that are even more comfortable to wear for long periods of time for under $200, we'd definitely recommend going with Sony's offering.